Are you looking to cook healthier at home? 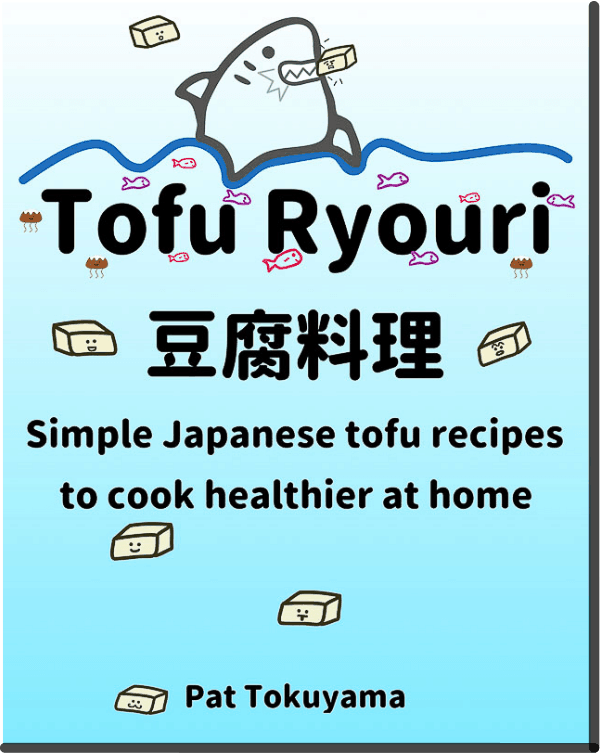 I’ve partnered with a good friend Pat Tokuyama from All Day I Eat to give away his new e-cookbook titled ‘Tofu Ryouri: Simple Japanese Tofu Recipes to Cook Healthier at Home‘ to 10 winners worldwide! If you appreciate Japanese food with a healthy approach in mind, you’d enjoy this book by my friend Pat Tokuyama from All Day I Eat. ‘Tofu Ryouri’ is a collection of both traditional and contemporary Japanese tofu recipes. This book was created to help both seasoned and aspiring home cooks to improve their cooking skills, learn about Japanese cuisine, eat more healthy and more sustainably. The best part? 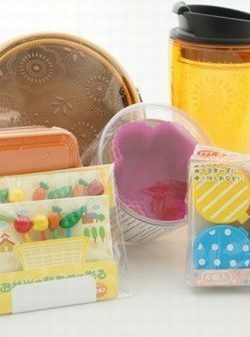 Transporting yourself to Japan, without ever leaving the comfort of your kitchen! 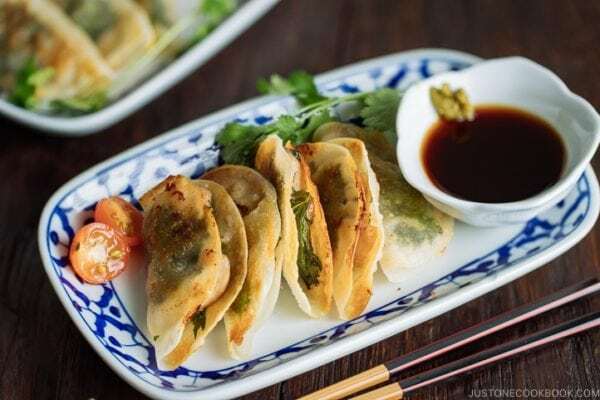 Just imagine, all the delicate and delicious aromas and flavors Japanese food is known for. This e-book is open to everyone worldwide, so don’t forget to ENTER! 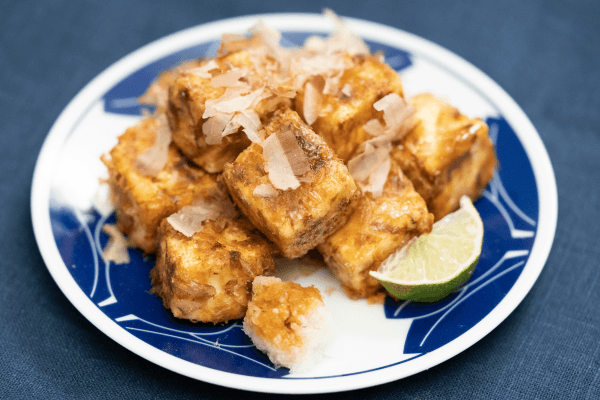 Tofu Ryouri is a new e-cookbook that features over 30 Japanese tofu recipes to help you discover new ways to cook with tofu. Pat’s journey started when he sprained his ankle after surfing and was unable to walk in the summer of 2016. During this time, he started a food blog ‘All Day I Eat Like a Shark‘ and read a lot of books on the topics of food. Though he knew it in his heart, he realized the power books can have on one’s life and wanted to give back in his own unique way. Given one of his favorite cuisines was Japanese and within that, tofu – an idea for this cookbook was soon born. With the hope that this endeavor will help you improve your diet, enjoy the food you eat, while also learning about Japanese culture, cuisine, and leading a healthier and longer life. This giveaway contest closes on Friday, November 2, at 12 p.m. PST and is open to everyone WORLDWIDE. Ticket 1 (Required): Follow All Day I Eat Facebook and leave a separate comment below on this post. Full disclosure: This giveaway is sponsored by Pat Tokuyama from All Day I Eat. Okay, I liked All Day I Eat on Facebook! I want to try learning how to cook with tofu better, so I think this is something that would work well for me. ???? Of course I’m already subscribed to your email! This site is my number on every go to when I want to make Japanese food. So, thank you, Nami, for all the recipes. ???? I followed All Day I Eat Facebook! Ticket 1: Followed All Day I Eat Facebook page. Ticket 3: Followed you a long time ago, love it! Ticket 5: Also did it a long time ago! Subscribed for Ticket 1. Wanna get that book! I am Japanese Canadian who subscribed to your email newsletter. I love to cook and and I’m really enjoying your recipes. I look forward to trying many more!! Love to win recipe book. The book I was waiting for: healthy and tasty tofu. I am following All day I eat on facebook. I have very little cooking experience with tofu so this would be a nice prize to win! And even bake a cake using tofu heehee. I started making tofu at home whenever I was station at a army base in a locate where there were no Asian markets and available of tofu was not present. your book would be a great source to my cooking with tofu. Would love to check out this tofu book. Tofu recipes are just what I need to eat little healthier! I followed All Day I Eat FB and am hoping to win this! I am a reader and subscriber of your newsletter. I am subscribed to your delicious YouTube channel. ???? I love tofu! Would love to win this cookbook and learn different ways to prepare and eat it! Following All Day I Eat on FB. Wow, I didn’t know you had a facebook page! Now, there’s another way I can look for your recipes! Definitely subscribed already. I LOVE your newsletters for both the delicious recipes and amazing travel info. Thank you! I’m a long time subscriber to your newsletter and have just followed the All Day I Eat Facebook page. This book sounds like just what I’ve been looking for! Following All Day I Eat! Glad to know about this FB page!! I love the JOC newsletter! I love your JOC IG! I love your JOC YouTube! Following JOC on FB. Can’t believe I haven’t already! Followed All Day I Eat on Facebook! Subscribed to the JOC email newsletter long time ago! Already following JOC on Insta, long time now! Subscribed to your YouTube. Love your videos! Followed All day I ea’s facebook! This would be super neat! I’ve recently gotten into tofu, and I’m thirsty for more recipes! I would be awesome if I become one of the 10 winners. I love Japanese food and enjoy cooking it. Thank you so much for including everyone on this giveaway,,,Love Japanese cooking, and tofu recipes are always welcome! So, please enter me in the “All Day I Eat” ebook giveaway! Hi, please enter me in the giveaway contest. I started following All Day I Eat on Facebook. He has some great links to tofu recipes! I already subscribe to your newletter and love getting the latest! Thanks! Love to try some new recipes! My son loves tofu. Excited to try some new recipes! I love tofu. all the recipe on YouTube trailer look delicious. I truly your recipes. Thank you. Only too true that I want to eat all day long. I am in Kyoto today and am not looking forward to eating at home again. At least Just One Cookbook blog gives me hope I can eat well again. Thank you for all your wonderful recipes. Everytime I need to look up a Japanese recipe I first go to your site to look for it before I look elsewhere. Living on the mainland makes it difficult to get some of the ingredients to prepare some of the dishes so I need to improvise. I would like to learn more on how to cook tofu recipes for my hubby, he loves japanese food! Thanks for the giveaway! This book is literally what I really wanted (and want!!! ), same principles, tofu, yummy… ???? I didn’t know “All day I eat” but I’m really happy that I got to. Now following on Facebook! I was already subscribed to email ???? I saw about this book on instagram! So already following ???? I followed All Day I Eat on FB! I can’t wait to try out the recipes in this cookbook! Subscribed to your YouTube channel (luvedbratja13 is my handle there). Love House Foods Tofu-love both Japanese and Korean Recipes-this giveaway is perfect for this foodie! Tofu cookbook would be different. I already follow you on FB and subscribe to your newsletter. Your recipes and insights inspire, Nami-san! Love your recipes! You are my favorite! I liked and followed All Day I Eat Facebook page. subscribed to your YT channel also…. 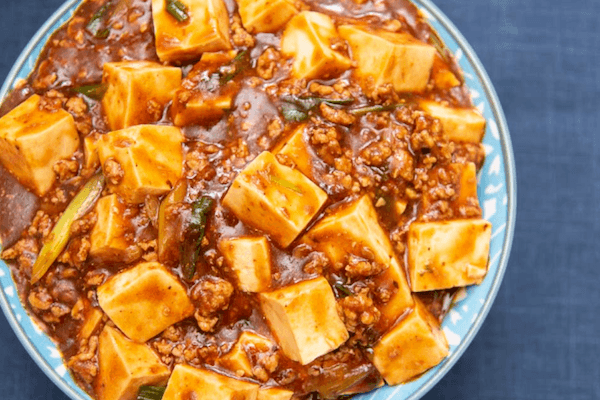 I love tofu and would love to explore all the recipes and learn new ways to prepare and cook with it! I now follow, All day I eat Facebook. This is my 3rd ticket for following on Instagram. This is my 4th ticket for following on YouTube. Would love to have an all tofu book on my shelf as I and family love tofu. I am already subscribed to your newsletter :). I really like tofu, so I am curious about this cookbook. I can actually get the men in the family to eat more tofu. The dishes look yummy! I just started following All Day I Eat on Facebook – look forward to checking out his posts! Oh that sound perfect, I like tofu so much!!! Following All Day I Eat fb. ???????????? Signed uo to your newsletter ???????????? I have done several recepies and all are cery good so I make them again !! Found you from a link off of “Just One Cookbook”. Can’t wait to try your recipes! I like “All Day I Eat” FB page. thank you! I am already a subscriber to your email newsletter. Thank you. I follow you on Instagram already. Thank you! I like all the recipes and cook them as soon as you send them. My whole family adores your food. Thank you from Germany! 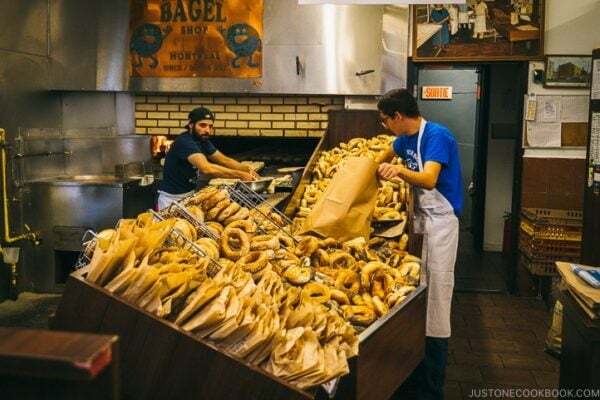 I’ve followed “All Day I Eat,” and will trying to do the five-day challenge while on an eight-day road trip through seven U.S. states.. Thank you for the chance to win this giveaway. I would love to win this book as Pat’s principle of eating less meat and cooking more resonates with my principle towards eating . You are my Go-To guru on delicious recipes I’m thinking to experiment for the day. Also shared your recipes to my WhatsApp groups. Thank you Nami. Followed All Day I Eat. I’ve just passed on 3 salmon recipes (in foil, miso butter and teriyaki) to two other friends who also had great success with them. I love such recipes – simple prep, available ingredients and great taste!! I recently came across these two website and now I’m enjoying cooking by following the easy and clear instructions. Thank you to both. Liked just one cookbook FB???? I have followed All Day I Eat Facebook. I have already followed your Instagram. I’m happy to discover more great tofu recipes! I’m quite interested on what other healthy recipes I can make with Tofu. Currently I replace it as rice in my go-to recipe (eggplant, bell pepper, ground beef with miso paste, sake, soy sauce, and sugar). That’s the only recipe I use tofu in. My toddlers love it and scarf it down! would love to learn new tofu recipes. Excellent food source for diabetics. Hi Nami, just to say that i love tofu! I like his philosophy of food as health. 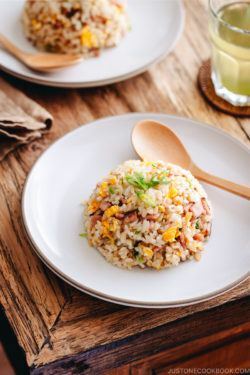 I miss living in Okinawa, Japanese culture and, of course, the food! I love fried tofu but it is very unhealthy. 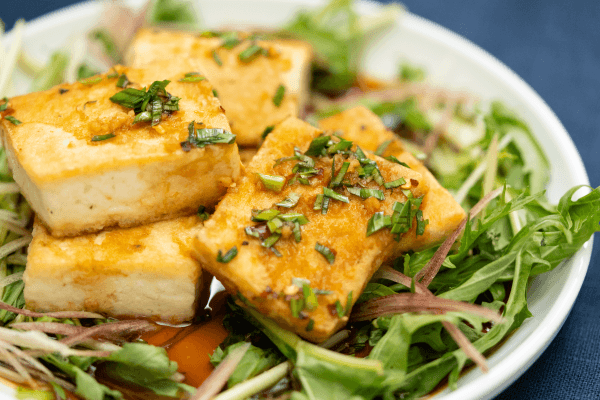 I would love to learn how to make simple, yet tasty and healthy tofu dishes. All Day I Eat fb page looks fantastic – and liked. Shame I already get your amazing email updates and link to your FB page. I follow All day I eat on FB! I’m subscribed to the JOC newsletter! I’n subscribed to the JOC Youtube channel! I liked JOC on FB! A book on Tofu and Japanese food does indeed sound good!!! Signed up to the facebookgroup. The tofu looks so good to eat right now. I really enjoy trying your recipes but I especially enjoy your commentary on Japanese culture. Eager to try, cook and eat Asian healthy and yummy dishes using tofu. Now following All Day I Eat on FB. Looking forward to tofu inspiration because my preschooler can’t get enough of it! would love to receive your tofu book. I started to learn about tofu a few years back. I love tofu dishes/snacks; I know I will enjoy the recipes from Pat’s cookbook! 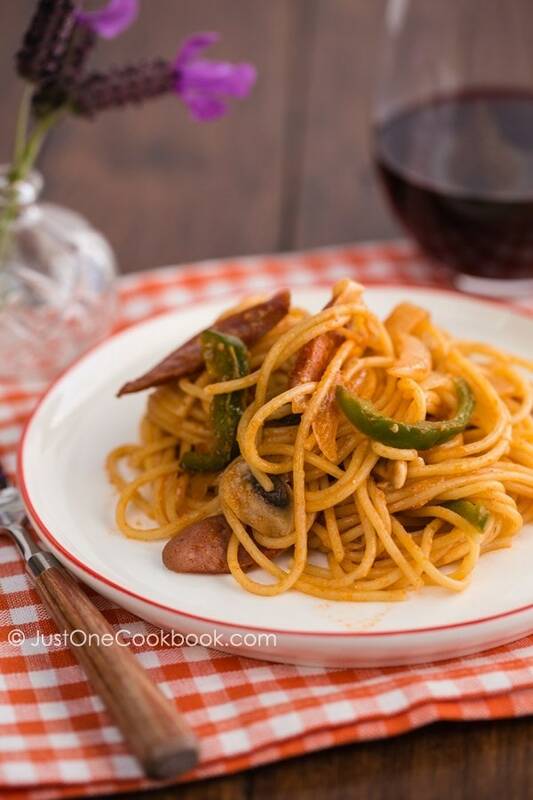 Thanks Nami san for sharing more great recipes! I followed All Day I Eat on Facebook. I’m already subscribed to your email! This site is my go to place when I want to make Japanese food. Thanks Nami! I’ve followed All Day I Eat on Facebook! Looking forward to trying some of PT’s tofu recipes. Love the hiyayakko recipe. Thanks for sharing with us. Made this several times. Liked and followed! Need more healthy japanese recipes in my life! Your you tube tofu recipes look so warm and comforting,makes me feel so warm too, can’t wait to try. Hope I am a lucky winner,thank you. Hello, I love posts of recipes. Looking forward to getting the tofu e-book. Just so love to read your blog! Following All day I Eat on fb. I’m going to see what recipes he’s shared there. Fried tofu is so good, I’m hoping to find lots of recipes! Have been subscribed to JOC newsletter for years now I think. I followed All day I eat! Yum! I love cooking with tofu. Such a good source of inexpensive protein. This is exciting. My son is a type 1 Diabetic and loves tofu which has low carbs and I can learn to make a variety of tofu dishes for him. Thank you for introducing me to another fab blogger – all day I eat. I love experimenting with Japanese cooking. Such delicate and clean flavours. Great to hear about new ways to cook/prepare tofu! I love Tofu and eat it every time we are out but lack the skills to cook it at home. Followed all day i eat facebook. Love tofu so much since i was little kid. Ticket 3- im not on instagram i would have definitely followed you!!! 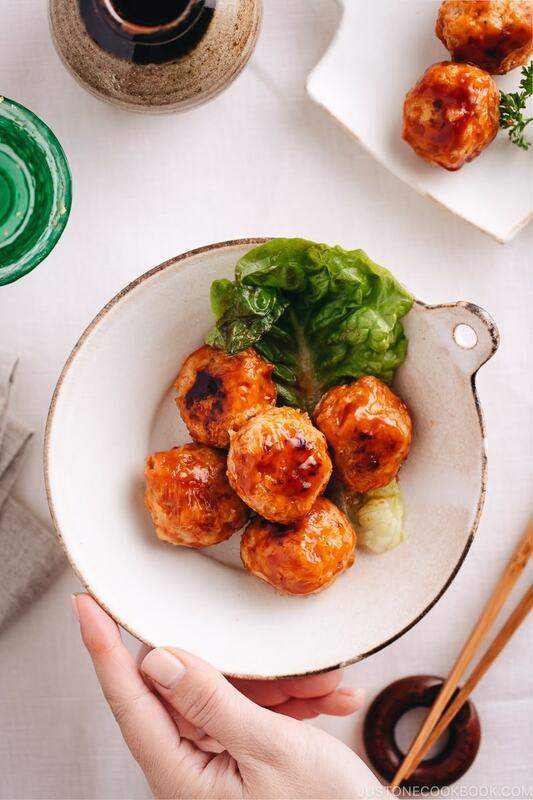 I have been following your Instagram account for a while and your feed gives me inspiration on what Japanese recipes to try. Following All day I eat on Facebook! 🙂 As a vegetarian who recently moved to Japan I need all the tofu recipes I can get my hands on! Following All Day I Eat on Facebook!!! Subscribed to your email system!!! Of course I follow your YouTube channel! How else would I survive? Love your recipes, always find more new things to cook, even though I’m a grandma, been cooking for 50plus years!!! Done following Pat Tokuyama page, and I love tofu! Of course I follow you on IG! Last, starting feel like a creepy stalker. On FB too! I love Tofu,- which is funny as i hated it when I was a child. But now I find it very soothing, pleasant and delicious. My last trip to japan showed me how much more variety there are with japanese cuisine, especially with the vegetables! They were so so delicious. Thought this book would allow me to have much more variety with cooking tofu. The recipes looked amazing! Followed All Day I Eat! Just followed all day i eat on Facebook! Looking forward to learning more Japanese recipes and expanding my (limited) repertoire! Love your recipes. Just followed you on Facebook. Just signed up for your newsletter also. Really love the idea of this, never really know how to introduce more tofu without it being boring or taking too long.